The OSSM Alumni Association promotes positive, active relationships among its alumni and the larger OSSM community in support of the school’s educational mission, focusing our relationships towards mentorship, volunteerism, and stewardship for the OSSM community of learners. Our mission is to provide our 1592 alumni with opportunities to stay connected to OSSM and to encourage active participation in the school’s community after graduation. The OSSMAA’s mission is to facilitate alumni networking by sponsoring reunions, distributing information through its newsletter, and providing a central place for alumni or other groups trying to reach alumni to connect. The secondary purpose, but no less important, is to help the school in any way we can by hosting alumni-student events, volunteering at OSSM, and promoting the OSSM in our communities. 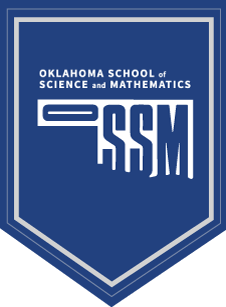 If you attended the Oklahoma School of Science and Mathematics or its regional centers for one year, you are eligible to be part of the OSSMAA. At this time, we have no formal membership registration. Contact us to receive our newsletter or find us on Facebook. The OSSMAA Board is led by Melissa Nestor ‘98 and Stuart Turner ‘02. The board is small, but we are always looking for new members. If you are interested in learning more or helping, contact us! You need not live in the OKC metro area to be involved. You need not be on the OSSMAA Board to help either. We can always use a few extra hands.